IN THE BOX: One shaker container of Coat Defense Daily Preventative Fungal Bacterial Powder. Net weight, 24 ounces. 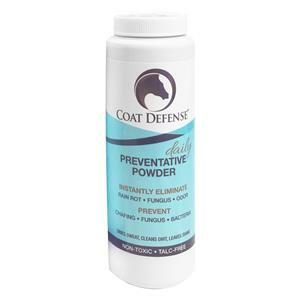 Click “Add to Cart” to get your supply of COAT DEFENSE Daily Preventative Powder for Horses. 8-ounce size also available.